The Brahman dining set includes the table and six chairs. It is available in a tobacco finish with faux leather seat cushions. 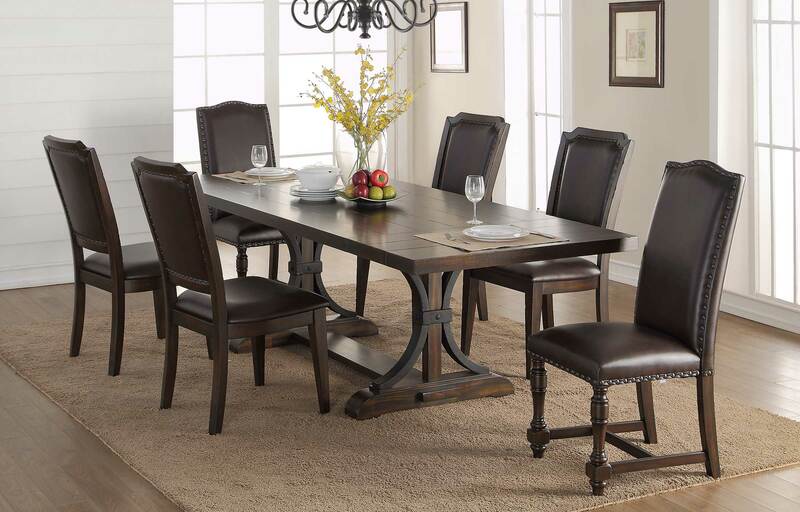 A strong piece for your formal dining room. The table also has two 12" leaves at each end.